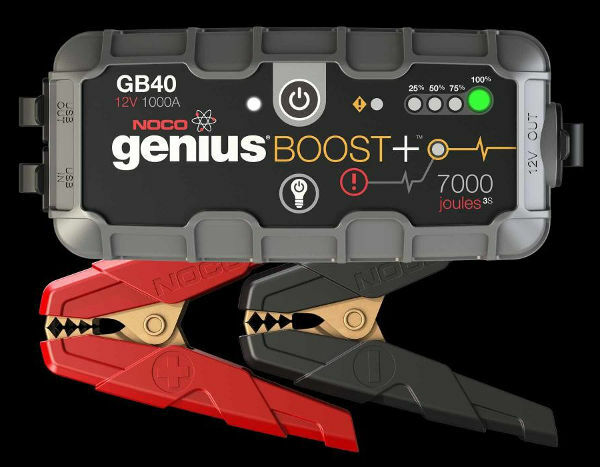 NOCO GB40 GENIUS BOOST PLUS JUMP STARTER - Brand new portable, mini, pocket sized lithium-ion jump starter for 12-volt lead-acid batteries. 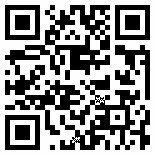 It is a high quality product, ultra safe and easy to use. 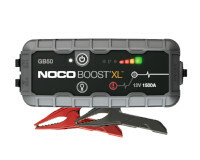 NOCO GB40 is 8 times smaller and 8 times lighter than other jump starters. 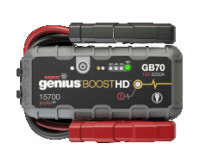 It is an ultra-safe, ultra compact, rugged and reliable device. 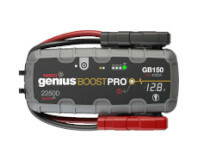 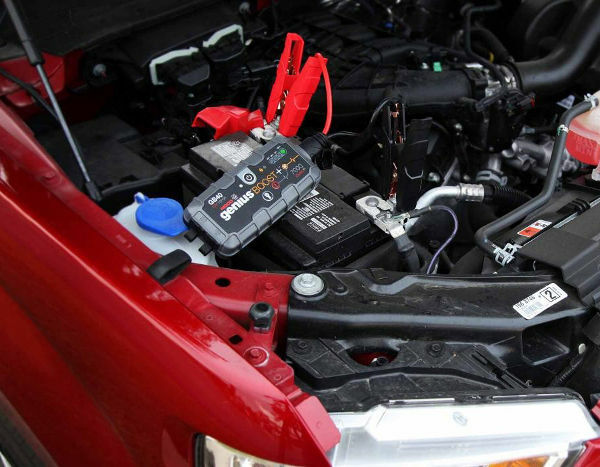 NOCO GB40 can safely jump start a dead battery in seconds, like on a car, boat, motorcycle, ATV, RV, lawn mower, truck and more. 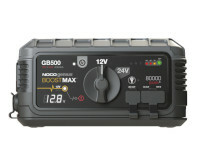 NOCO GB40 powered by a High-Density NOCO Element lithium-ion battery that can hold its charge up to one year, and handle over 20 cycles on a single charge.